Currently, the United States has more than four million motorcycles registered to drive on public roads. Most major insurance carriers have responded to the needs of this substantial market by offering the same protections and benefits to riders as they do to drivers by providing motorcycle insurance policies. For bikers, the need for quality insurance protection is especially critical. According to the NHTSA, roughly 80 percent of motorcycle accidents result in death or injury, whereas with automobiles, the figure is only about 20 percent. The best way to combat these unsettling statistics is to ride safely, and that includes carrying adequate motorbike insurance protection. By and large, motorcycle insurance looks nearly identical to coverage for a conventional vehicle. The only significant difference is that certain carriers offer optional specialty coverages created specifically for motorcyclists. 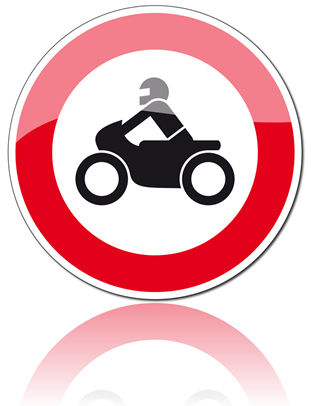 A summary of a standard motorbike insurance policy follows. Bodily injury and property damage liability: protects you when you harm someone or damage another's property while riding your motorcycle. Personal injury protection/medical payments: pays for your medical expenses in the event you are injured while driving your motorbike. Collision: pays for damage to your motorcycle that results from a covered accident. Comprehensive: pays for repair or replacement required after theft, fire, vandalism, or other non-collision-related losses occur. Some motorcycle insurance policies will also pay for any damage your bike sustains while in storage during the winter months. Sidecar: if you have a sidecar attached to your motorbike, your carrier may offer additional protection for repair or replacement if it is damaged in a covered event. Custom modifications: if you modify or upgrade your bike in any way, such as through a custom paint job or custom parts, you can modify your motorbike insurance policy to protect these components in the event of a loss. If you're like most riders, one of the most pressing questions on your mind is "How much is motorcycle insurance?" The good news is that motorbike insurance is almost always significantly cheaper than standard auto insurance. Coverage can be very affordable if you have a good driving record and a modestly priced bike. For the most part, your rates will depend on your age, your gender, the age and type of motorcycle you ride, your driving history, and the types and amounts of coverage you prefer. To see which carrier offers the best motorcycle insurance premiums for you and your bike, complete the short form at the top of this page for free quotes on carriers selected especially for you.